It has been proved that ultra high performance concrete can be prepared not only from expensive reactive powder but also from cheaper (local) materials. 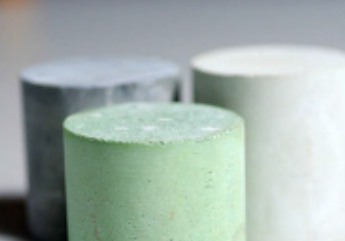 Research has already found links between concrete’s properties and durability as well as identified its change patterns; the technology for achieving the optimum composition of the concrete as well as using it in a mixture has also been identified. Ultra-high performance fibre reinforced concrete (UHPFRC) mixture with advanced mechanical and durability properties was created using ordinary mixer. Compressive strength varied from 130 MPa (without micro steel fibres) up to 170 MPa (with 147 kg/m3 micro steel fibres). Flexural strength can be increased more than 5 times – from 6.9 MPa (without micro steel fibres) up to 36.2 MPa (with 147 kg/m3). Salt-scaling resistance at 40 cycles in 3% NaCl solution varied from 0.006 kg/m2 to 0.197 kg/m2.